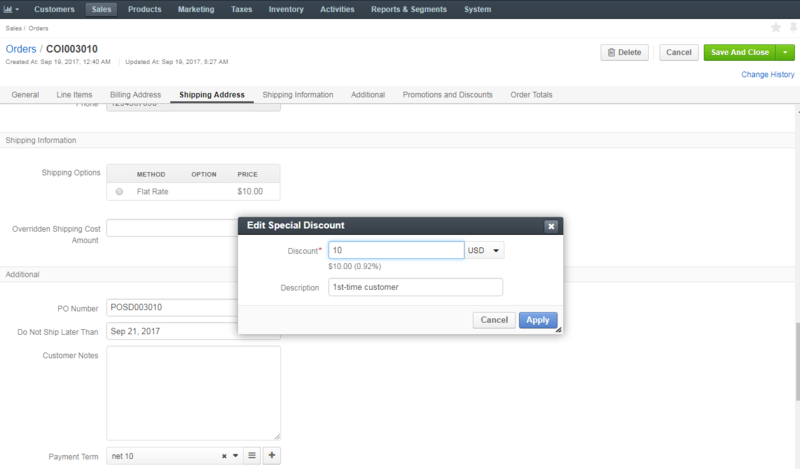 You can view discounts applied to a specific order under the dedicated Promotions and Discounts section on the order page. This section is divided into All Promotions and All Special Discounts. On the order page, click Add Special Discount on the top. Click Add Special Discount in the Promotions and Discounts under All Special Discounts. Discount — Provide the desired discount amount (in currency or percents). This field is mandatory. Description — Provide the reason for the special discount. This field is optional. This way, you can apply one or more special discounts to selected orders. 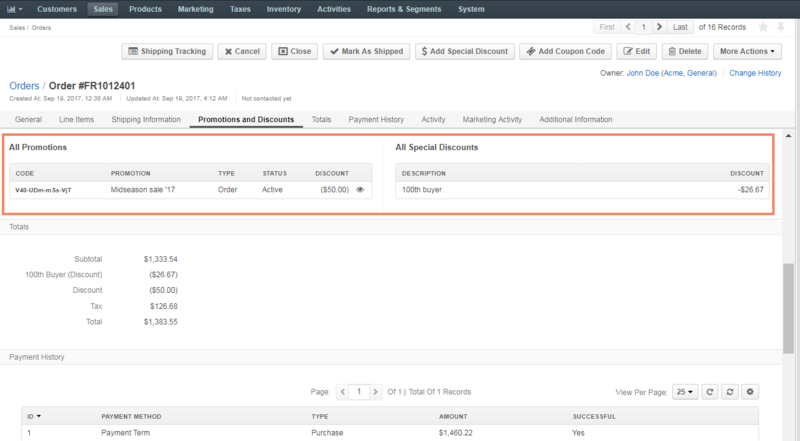 You can manage promotions, coupons and special discounts for the required order by opening its edit page and navigating to the Promotions and Discounts section. Click to view the details of the selected promotion or coupon code. Click to deactivate the selected promotion or coupon code. Click to delete the selected promotion or coupon code. Click to edit the discount. Click to remove the discount.